Make T- Shirt for DAD - or for the mom-to-be! Our newest printable clip art designs and t-shirt iron ons for babies and parents-to-be are ready now - free for you to download for personal projects, shower favors, dad-to-be/new dad gifts, holiday gifts or Father's Day tee shirts! Click here to see all of our baby iron ons! 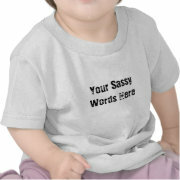 Design a Sassy Toddler Tee Shirt at Zazzle.com - choose your own funny phrase, add graphics, select font, shirt color/style. Last minute baby shower games. FREE BOOK: 60 Tips for Fathers - Makes a great shower gift for the Dad to be! Baby Shower Games! Fun and funny baby party games, coed games, babyshower fun for all ages including games for multiples and gender reveal parties. March of Dimes - Babies born before 37 completed weeks of pregnancy are called premature or preterm. In the United States, 1 in 8 babies is born prematurely. 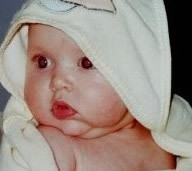 Babies born preterm are at risk for serious health problems. Those born earliest are at greater risk of medical complications, long-term disabilities and death. The earlier a child is born, the less she will weigh, the less developed her organs will be, and the more complications she is likely to face. These babies may require care in a neonatal intensive care unit (NICU). These units have specialized medical staff and equipment that can deal with the multiple problems that premature infants face. Why Prenatal Care? All mothers-to-be benefit from prenatal care. Pregnant women who see a health care provider regularly have healthier babies, are less likely to deliver prematurely, and are less likely to have other serious problems related to pregnancy. The goal of prenatal care is to monitor the progress of pregnancy and to identify problems before they become serious for either mom or baby.